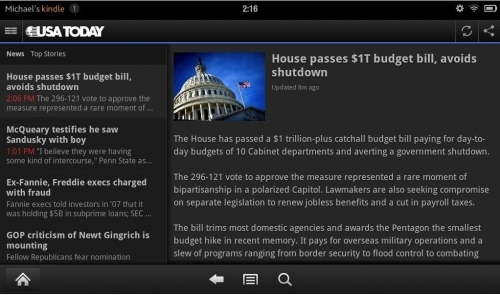 USATODAY releases Kindle Fire app | Android Blast! The Kindle Fire is a heavily customized version of Android, and it requires special customization to take advantage of its special version of Android. We haven't seen a lot of Kindle specific apps yet, but USATODAY is jumping on the Kindle bandwagon. They've released their app and it's available in Amazon's Appstore.